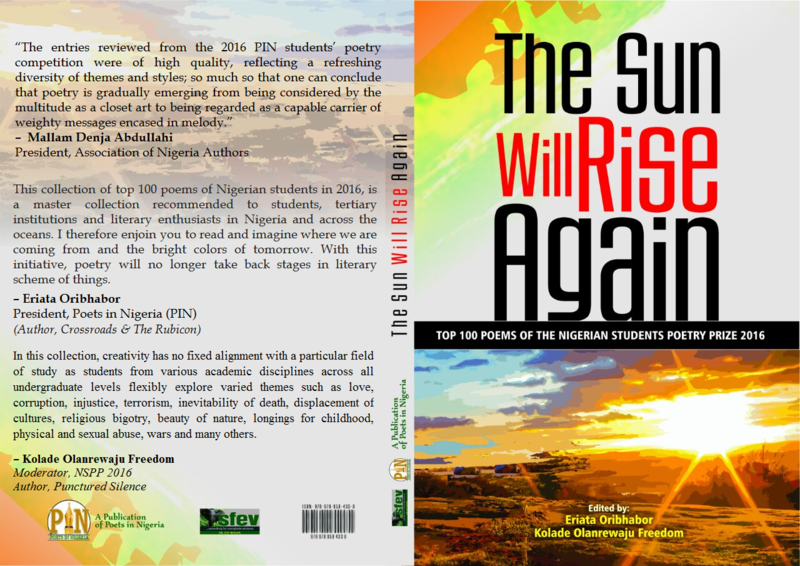 Poets in Nigeria (PIN) is delighted to announce the release of the electronic version of The Sun Will Rise Again, a collection of top 100 poems of the Nigerian Students Poetry Prize (NSPP) 2016. Note: Contributors will receive a complimentary copy of the anthology via their respective emails shortly. Hip! Hip! Hip! Hurray!Thanks to God that the collection is out at last!